David Darrow, MD, MPH, at the University of Minnesota, is seeking 100 participants for their current epidural stimulation clinical trial. If you have a spinal cord injury and would like to be considered, go here to learn more. Spinal Cord. 2016 Nov;54(11):942-946. doi: 10.1038/sc.2016.30. Epub 2016 Apr 12. Early Application of Tail Nerve Electrical Stimulation-Induced Walking Training Promotes Locomotor Recovery in Rats with Spinal Cord Injury. Zhang SX, Huang F, Gates M, Shen X, Holmberg EG. Cell Transplant. 2016;25(2):411-24. doi: 10.3727/096368915X688137. Epub 2015 May 7. Directed Differentiation of Oligodendrocyte Progenitor Cells From Mouse Induced Pluripotent Stem Cells. Terzic D1, Maxon JR, Krevitt L, DiBartolomeo C, Goyal T, Low WC, Dutton JR, Parr AM. International Journal of Physical Medicine & Rehabilitation, www.ijprm.org. [abstract & article] Volume 2, Issue 5, September 25, 2014. Scar Removal, Cell Transplantation, and Locomotor Training-Strategies to Improve Tissue Repair and Functional Recovery in Rat with Chronic Spinal Cord Injury. Zhang SX, Huang F, Gates M, Holmberg EG. Stem Cell Rev. 2014 Aug;10(4):612-25. doi: 10.1007/s12015-014-9513-4. Electro-Acupuncture Promotes the Survival and Differentiation of Transplanted Bone Marrow Mesenchymal Stem Cells Pre-Induced with Eurotrophin-3 and Retinoic Acid in Gelatin Sponge Scaffold After Rat Spinal Cord Transection. Zhang K1, Liu Z, Li G, Lai BQ, Qin LN, Ding Y, Ruan JW, Zhang SX, Zeng YS. Volume 8, Issue 2, January 2013. Role of Endogenous Schwann Cells in Tissue Repair After Spinal Cord Injury. Zhang SX, Huang F, Gates M, Holmberg EG. J Neurosci Methods. 2012 Jul 15;208(2):114-8. Epub 2012 May 10. Somatosensory Evoked Potentials can be Recorded on the Midline of the Skull with Subdermal Electrodes in Non-Sedated Rats Elicited by Magnetic Stimulation of the Tibial Nerve. Zhang SX, Huang F, Gates M, Holmberg EG. Brain Res. 2012 May 25;1456:22-35. Epub 2012 Mar 29. Tail Nerve Electrical Stimulation Combined with Scar Ablation and Neural Transplantation Promotes Locomotor Recovery in Rats with Chronically Contused Spinal Cord. Zhang SX, Huang F, Gates M, Holmberg EG. Brain Res. 2011 Jul 5;1399:1-14. Epub 2011 May 31. Scar Ablation Combined with LP/OEC Tansplantation Promotes Anatomical Recovery and P0-positive Myelination in Chronically Contused Spinal Cord of Rats. Zhang SX, Huang F, Gates M, Holmberg EG. Histological Repair of Damaged Spinal Cord Tissue from Chronic Contusion Injury of Rat: a LM observation. Zhang SX, Huang F, Gates M, White J, Holmberg EG. During May 2018, Phase II of our current animal trial commences. There will be a variety of combinations performed on several experimental groups. Ultimately, chronically injured rats will receive scar ablation, hIPC's (human induced pluripotent stem cells)-derived OPC's (oligodendrocyte progenitor cells) and TANES (tail and nerve electrical stimulation). Subjects will be immune-compromised to avoid tissue rejection issues. They will be observed for behavioral progress and extensively analyzed for the presence of new neuronal growth and cell integration. As 2018 begins, we are continuing our trial examining the use of hIPC's (human induced pluripotent stem cells)-derived OPC's (oligodendrocyte progenitor cells). These new experiments will be performed in an immune-compromised rat to avoid tissue rejection issues. Rats will be chronically injured before receiving "basic" scar ablation and cell transplantation. We will utilize the modified form of scar ablation in the future when attenuation of the ablation is necessary. Molecular characterization of our analogs for scar ablation is complete. The Spinal Cord Society developed a number of molecules and identified one in particular which demonstrated its intended purpose: Octyl-amine. In our preliminary studies, this derivative appears to properly attenuate so that perfusion into the tissue is slowed down and the ablative effects are reduced. This modification to our existing scar ablation procedure will allow a more targeted approach while avoiding damage to the surrounding spared tissue. We have made sufficient quantities of this compound and are currently using them in an animal trial with OPC's (oligodendrocyte progenitor cells). As we enter 2017, we are near completion of the initial training and testing of our new scar ablation analogs. The next step will be to provide more of the analogs (further synthesis of the same analogs in quantity for the cell trials) for human cell inclusion and a detailed molecular characterization of these analogs. This project is under the directive of Dr. Holmberg's laboratory in Alaska. It's projected timeline is February 1 – July 2017. The scar ablation testing of these analogs is ongoing at the University of Minnesota. On November 13, 2016, Dr. Ann Parr, Assistant Professor at the Department of Neurosurgery's Stem Cell Institute at the University of Minnesota, gave a video presentation detailing her work and her collaborative efforts with the Spinal Cord Society. During March 2016, we began our latest animal experiment. This experiment will involve scar ablation training and testing of our new scar ablation analogs. The goal is to improve scar disruption using rose-Bengal. A $125,000 grant was awarded to Dr. Ann Parr of the University of Minnesota Stem Cell Institute. This grant is part of the Omnibus Higher Education Bill. 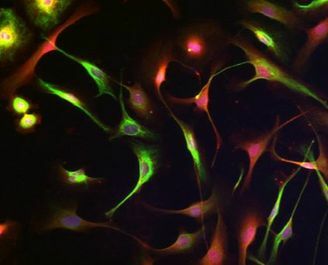 Spinal Cord Society funds will be leveraged with this grant for the purpose of a collaboration effort involving a combination therapy with rose-Bengal and hIPSC (human induced pluripotent stem cells)-derived OPC's (oligodendrocyte progenitor cells). During November 2015, the Spinal Cord Society welcomes Dr. Nandadevi Patil, our new Research Associate. We are very excited to have her join our collective projects. The Spinal Cord Society Research Center in Ft. Collins, Colorado was formally closed on March 2, 2015. By invitation, we submitted a manuscript entitled “Scar Removal, Cell Transplantation, and Locomotor Training-Strategies to Improve Tissue Repair and Functional Recovery in Rat with Chronic Spinal Cord Injury". It has been accepted for publication in a forthcoming Special Issue on “Spinal Cord Injury: Treatment & Rehabilitation” in the International Journal of Physical Medicine & Rehabilitation. This manuscript is written mainly based on our own study of chronic spinal cord injury during the recent 10 years. The process of moving the Spinal Cord Society Research Center from the campus of Colorado State University to the University of Minnesota has begun. The initial plan for our participation in the new projects include establishing human protocals for scar ablation, combining it with hIPC's (human induced pluripotent stem cells) to determine the maximum suitability for treatment, testing the combinations with the human cells and preparing for human trial. On August 4, 2014, the staff at Spinal Cord Society National along with Dr. Eric Holmberg, SCS Research Director and Dr. Zhang, SCS Research Scientist, met at the University of Minnesota. Our discussion centered around our common goal of bringing the development of research to treatment of human spinal cord injury. During April 2013, as part of our collaborative effort with the University of Minnesota, the Spinal Cord Society Research Center commenced an animal experiment involving the transplantation of OPC's (oligodendrocyte progenitor cells) along with the lamina propria of olfactory mucosa into our chronic rat model. Additionally, TANES (tail and nerve electrical stimulation) will follow to promote functional recovery. This study is projected to end in May 2014. In December 2012, the Spinal Cord Society Research Center began a collaborative effort with Dr. Ann Parr, Assistant Professor, at the Department of Neurosurgery's Stem Cell Institute at the University of Minnesota. In October 2012, Dr. Shu-xin Zhang, Spinal Cord Society Research Scientist, was invited to visit Sun Yat-sen University School of Medicine in Guangzhou, China and give a talk about our research results in glial scar ablation and TANES (tail and nerve electrical stimulation) for functional recovery after spinal cord injury. A collaboration between Dr. Zhang and Dr. Yuang-Shan Zeng, Professor and Head of Department of Histology and Embryology and Co-director of Spinal Cord Injury Institute of Sun Yat-sen University School of Medicine, is underway. The National Neurotrauma Symposium was held in Phoenix, Arizona on July 22 - 25, 2012. Approximately 500 scientists attended this meeting and 390 posters were presented. There were 32 posters related to spinal cord injury while others were studies on traumatic brain injury or peripheral nerve injury. Among 32 posters of spinal cord injury, there were 4 from clinical studies. The Spinal Cord Society poster was alone in exhibiting the chronic injury model. Furthermore, ours was the only poster related to cell transplantation therapies. Dr. Zhang presented our poster relating to our recent combination treatment results with motor function caused by TANES (tail and nerve electrical stimulation), as evidenced in the video on this page. Demonstrate TANES* (tail and nerve electrical stimulation) to significantly promote the recovery of H-reflex (Hoffman Reflex) in a 22 week contused spinal cord injury in rats. Developed a safe method using a photo-toxic chemical probe to eliminate the problematic glial scar that develops naturally at the site of injury. This application does not harm surrounding tissue and is being used as a first step before applying any combination treatments. Successfully transplanted LP/OEC (lamina propria/olfactory ensheathing cells) after scar ablation, which promoted tissue repair and axonal regeneration in chronic spinal cord injury of rats. This is an autologous transplant. TANES* (tail and nerve electrical stimulation) combined with scar ablation and LP/OEC (lamia propria/olfactory ensheathing cells) transplant significantly promotes functional recovery. In addition to the BBB (Basso, Beattie, and Bresnahan) open field rating scale, we used the horizontal ladder rung walking test and electrophysiological tests including MEP (Motor Evoked Potentials), SEP (Somatosensory Evoked Potentials), and Hoffman reflex for evaluating the functional recovery of motor recovery. Both horizontal ladder tests and SSEP support the BBB test. *TANES is a cyclical electrical stimulation of the CPG (central pattern generator) that activates a neuromuscular coordinated walking motion. This stimulation trains the neuromuscular circuitry to allow the brain to relearn control after a long term injury. This concept is known as plasticity.